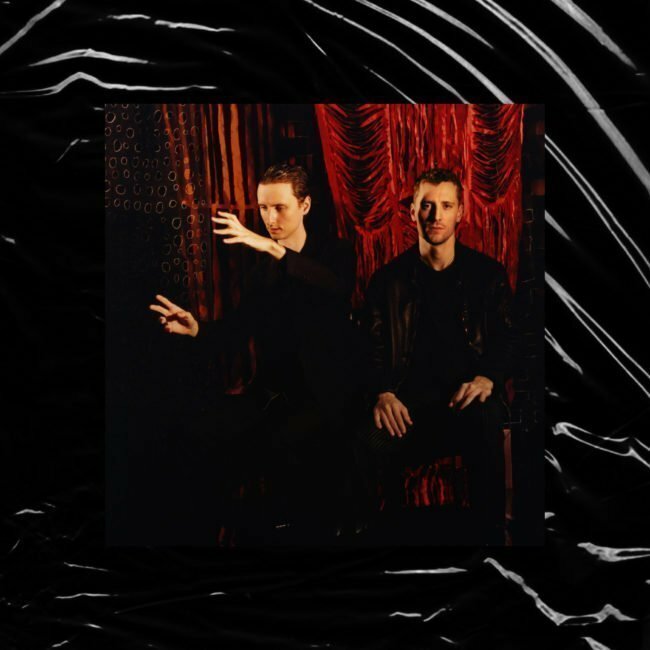 These New Puritans releases their fourth studio album, Inside The Rose, on 22 March 2019. Brutal and beautiful, Inside The Rose arrives six years after the critically acclaimed Field Of Reeds and is arguably the Barnett brothers’ most innovative work to date. Recorded in Berlin, London and Southend-on-Sea, and mixed in Los Angeles, Inside The Rose is a record unlike anything else you’ll hear this year; 40 minutes of powerful melodies, lush strings and progressive electronics, packed with jaw-dropping sonic left turns. Mark Millar Caught up with Jack Barnett to talk about the album and why it took so long. 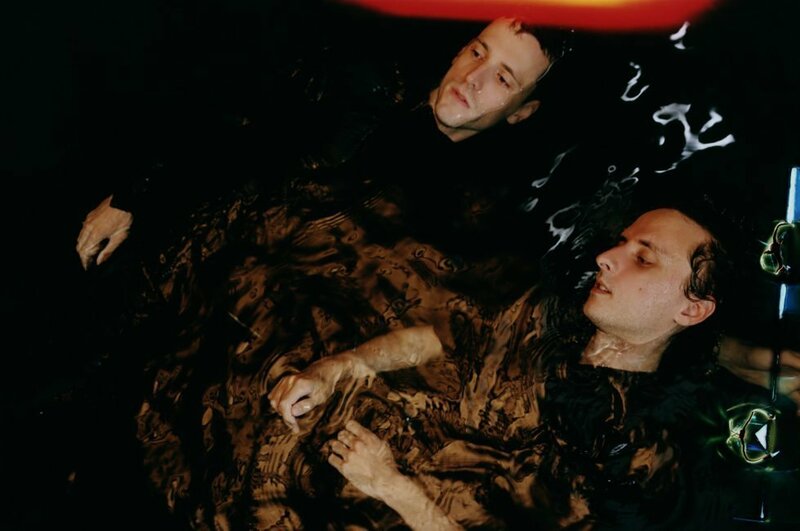 These New Puritans will release a fourth studio album, Inside the Rose on 22nd March. Did you go into the recording with any preconceived ideas how it should sound and the kind of songs you wanted to write about? JB: Well, it’s never particularly premeditated but I think the thing me and George (Barnett) share is an inherent instinct to turn in a different direction. We both have that drive and ability. I suppose it’s only natural if you spend a matter of years working on something that is one way, it’s human nature to want to experience something different. But the thing that emerged that was obvious to us both, was that it’s more about melody. It’s more about my voice: it should be up front louder and clearer. The last album was introverted, and more a series of internal subjects and this album is more external and brutal and a bit more alive and extroverted. Inside the Rose arrives six years after the critically acclaimed Field of Reeds. Why did it take so long? JB: I think the longer you spend on it, the easier it is to take even longer. If you spend three years on something, you think, “What’s the harm in another six months?” And those six months go by you think, “What’s the harm in another month?” So it goes on like that. Also, we did a lot of other different things. We did The Brave New World soundtrack and various other commissions and tours and things. There was a feeling of it’s now or never, and we wanted to get it right. Some things take time, and also I moved to Berlin and set up a studio there. Why did you decide to move to Berlin to record? JB: There were no romantic reasons whatsoever. It was purely about practicality. It was a place where I could go where I knew people, and there was a possibility of a studio there in this old dilapidated communist sound headquarters. We had the opportunity to inhabit an old radio play studio there. London is so expensive, so we went to this place where we had so much more space on the outskirts of Berlin. I like moving around, and when we go on tour, I always like that I don’t get the feeling of being static and being in the same place. New places reorder your instinct and rearrange your routines, and then that also reorders your creativity and ideas. I think that’s a good thing. By the time I understood enough German to understand adverts and what people were talking about around me then I lost a little bit and that was enough, and I felt it was time to move on. So I’m back in Essex now. There have been a lot of great records made in Berlin over the years from David Bowie, Iggy Pop, Depeche Mode, and U2. It’s a great place to record. JB: Someone pointed out to me the other day that Depeche Mode made the same journey as us from Essex to Berlin. That’s funny it had never occurred to me. And Gareth Jones who produced our first album Beat Pyramid produced a load of Depeche Mode albums. Taiwanese singer-producer Scintii, features on the album tracks ‘Beyond Black Suns,’ and ‘Vessel.’ How did she get involved? JB: I forget exactly how we came across her. We had some parts in mind there is a tendency to think female vocal parts are necessary on the tracks. I suppose there are parts that I can’t sing or we are looking for a different perspective. She’s got such an incredible voice. It’s weird because at the moment there are a lot of great producers about but not many singers. We contacted her, and she replied and told us she was really into These New Puritans when she was a teenager growing up in Shanghai. It was amusing to her, but it was quite nice to feel like the elder statesmen. It was a bit of a strange novel experience for us. I really enjoy the track A-R-P. What can you tell me about the making of that song? JB: I like that one as well. That song was done quickly. The vocal performance was literally the first time I’d sung any of those words – half of them are improvised off a bunch of words written on a piece of paper. And then that was it. I’m proud of that one. It’s hard for me to think of other things that sound quite like it, for better or worse. The other thing about it is it was always kind of an orchestral piece until George insisted we put drums on it. I think the last thirty seconds with the drums is the best moment. It’s six minutes of teasing towards this resolution when the drums come in. What was you and your Brother George’s songwriting process for this album? JB: Field of Reeds was more or less a solo album for me. George defended my right to make that because I had a very clear idea of what to do and I had this momentum to make that kind of record. With this new album, I felt like I owed him one and we needed to create something that was a bit more democratic, and it slowed things down. That’s another reason why it took so long, but I think it paid off in the music. George has this fantastic instinct for making things as clear as possible. I believe that’s something we share however strange or unusual the idea is we want to make it as clear and as honed as possible. My favourite kind of music is very clear but also mysterious at the same time. If you have a strange idea always present it in the clearest possible way. Don’t mess about with pretentious abstract rubbish, that’s the kind of thing we don’t relate to. A lot of the time George takes what I’ve come up with and nudges me in a certain way. Many of the vocals were completely different. The usual thing that would happen was I would play him a vocal that I had recorded, then he would listen to it for ten seconds then press stop and not say anything. And that’s when I knew that it wasn’t quite right and I would go back and do something else. Being brothers and working in music means there are no niceties. We can be absolutely brutal to each other., But in a way, it’s okay, because you can’t be sensitive about it, you can’t be precious. You get past all the niceties and you get to the heart of things. I have seen the CD packaging of the album it’s beautiful. A lot of thought has gone into it. Is it important to you? JB: Yeah, it’s a three hundred and sixty-degree thing. It’s unthinkable to us that the artwork would be something external that someone else who knows nothing about the music would superimpose over the top of it. I love the CD. I think it looks incredible. It’s George who designs that stuff. He’s such a good designer. In the music, I take slightly more of a role, and then George sits back and directs me into certain spaces and ways of putting my ideas across, and then with the artwork, it’s the other way around. George does most of it, but I’ll point him in the right direction. We seem to be able to see each other’s blind spots in a good way. 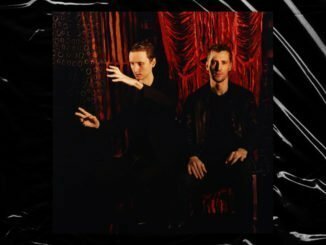 I tend to see These New Puritans music as nocturnal and like to relax and listen to your records at night. How do you consume music? JB: I haven’t quite adjusted to the streaming world which seems to be the way music is presented to us now, but that is part of what I do. I don’t have a record player or anything which makes me feel a bit hypocritical for making records. I haven’t listened to much music recently. I think because I’m spending all day every day working on music that it’s a bit of a busman’s holiday and I want to do something else. I watch films a lot. I think I spend more time making music than listening to it. Recently we lost the genius Mark Hollis from Talk Talk. You posted a lovely tribute online. Can you remember the first time you heard his music? JB: Not precisely. Me and George have got an older brother, and I remember him playing us Talk Talk. I didn’t get it initially. I wasn’t that into it. I could see that it was probably great music, but I was more into Captain Beefheart or stuff that was a bit sharper and spikier but somehow it filtered into my consciousness. Mark Hollis was a fantastic musician and songwriter. We have this tenuous connection because Graham Sutton, who coproduces a lot of our music and is the leader of Bark Psychosis knew that lot and he’s friends with Phil Brown who engineered a lot of the later Talk Talk albums. And so Phil Brown ended up engineering on Hidden and Field of Reeds. So he would tell us all these stories. Talk Talk were an Essex band and were role models for us because we thought if they can make something of themselves, then maybe we can too. 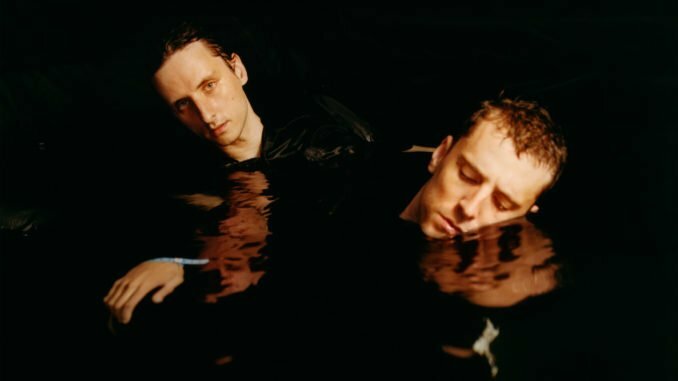 To accompany the release of Inside The Rose, These New Puritans have announced a run of 12 live dates across the UK and Europe. 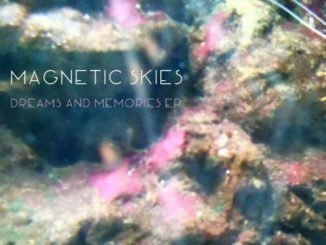 Taiwanese singer and producer SCINTII, who appears on Beyond Black Suns on the album, will be performing live with the band and as support act on the European shows.